Selena Quintanilla was a vibrant musical performer, wildly pouplar in the growing field of Tejano music. But her rising star suddenly fell when she was murdered at the age of 23. Now, her life, her work, and her musical legacy have been lovingly documented in Selena: Como la Flor. At the time of her death, Selena was poised to break into the mainstream music scene. But as she enjoyed professional success beyond her wildest dreams, her personal life had more than its share of troubles. There was family tension surrounding her marriage to guitarist Chris Perez, and mounting pressure between her and the manager of her fashion boutiques, Yolanda Saldivar. 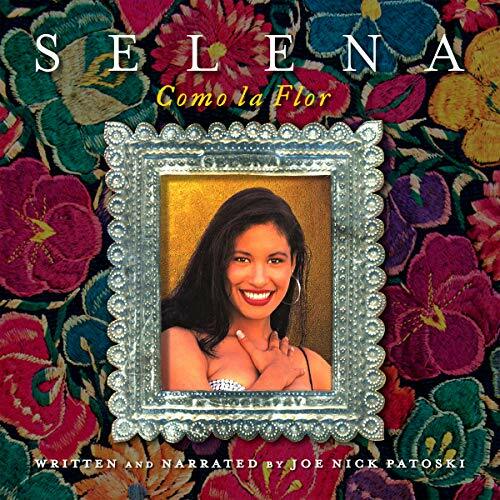 Best-selling author Joe Nick Patoski recounts both the ups and downs of Selena's life, as well as her stunning transformation into a sensual Latina superstar. For the first time, Patoski reads his unabridged work for audio listeners. I listened to this book for about 4 hours. What was incredibly disappointing was that there was no editing. If the author/narrator made a mistake, he just reread the line. What the heck...the story is very detailed about Selena and her life, but I couldn't get past the narration and lack of editing.